2.Reinstall Updated skins to Windows Media Player By Double Clicking On New Skin In Zip File. 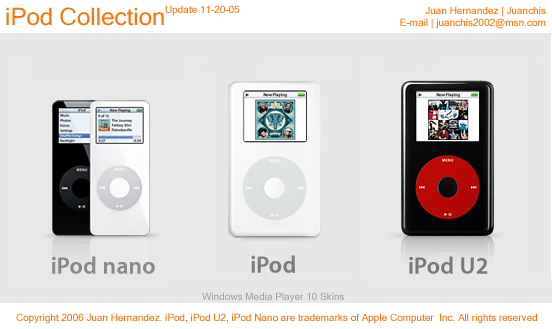 3.Updates For The iPod, iPod U2 and iPod Nano Skin should Be Applied. There Will be more updates If any more bugs are found. Very nice, my fav is the U2 IPod, it looks really sick! Really Cool, Can you make it work with Media Player 11?